Possessing the uncanny ability to fry a television set from twenty paces can really wreck a girl’s social life. If you’re looking for proof, just ask sixteen-year-old Alexandra Parker. After catching her boyfriend in the arms of the prettiest girl in school, she made the journey from social elite to social pariah in a haze of electricity and exploding electronics. But finding herself at the bottom of Bay View High’s social hierarchy was nothing compared to the shock of discovering who—and what—she really is. After being zapped out of a burning bookstore by the mysterious Declan—a hero nearly as handsome as he is infuriating—Alex finds herself under the protection of the powerful Grayson family. It’s through them that she learns the truth: that the world she’s always known is nothing like it appears to be... and that she has far more in common with them than she might want to believe. Now, on the run from a fire-wielding hit man and a secretive government organization, Alex must navigate a strange and treacherous new world filled with superhuman mutants known as Variants. As she begins to unravel the many secrets of her family’s past, she uncovers the real reason for her parents’ death twelve years earlier—and finds out that the threat to her family, and to everyone she cares about, is still dangerously real. Want to read an exclusive excerpt from the novel? Click here to check it out on the official Jena Leigh website! Alexandra Parker might be the most powerful Variant the world has ever seen—but even that won’t get her out of finishing her junior year of high school. The challenge of keeping her abilities under wraps during class is daunting enough, but throw one surly, sandy-haired Jumper into the mix, and things can get downright complicated. Declan’s new job? Watch over Alex while she’s at school and do everything in his power to keep her from losing control. But as sparks of every kind begin flying between Alex and her new bodyguard, she's left feeling more unstable than ever. 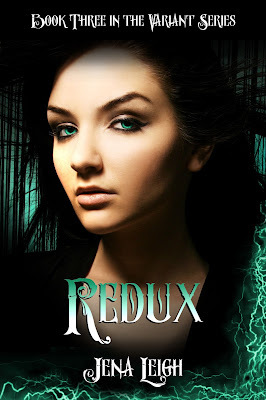 When avoiding her abilities results in a surprise visit from her parents’ killer, Alex’s worlds collide with a bang that nearly levels Bay View High. With her freedom now squarely in the Agency’s crosshairs, Alex will be faced with the fight of her life... and a decision that could forever alter the course of her destiny. Alexandra Parker sits at the crossroads, out of time and out of place. She went back to fix the past, not to imperil the future. Rescued from the icy waters of the Bering Sea by one familiar face, she's helpless to find another. Declan O'Connell jumped with her, but where did he go? In the middle of her search, a new threat confronts Alex. A serial killer with a taste for Variants has Seattle on edge. When she crosses the path of this vicious murderer, the revelations Alex discovers could change everything. That outcome is an unknown, but there is a terrible certainty on the table—an impossible decision with irreversible consequences. But can Alex make that choice and commit herself and those she loves to a total Redux? Click here to add Redux on Goodreads. 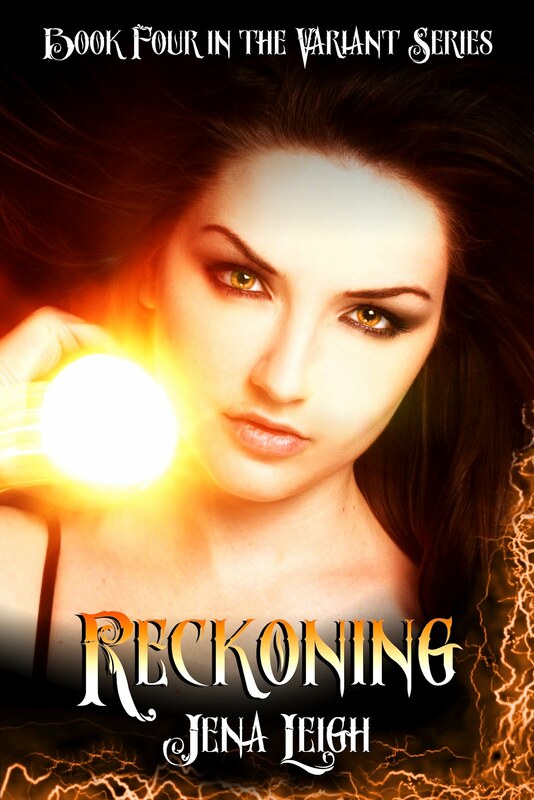 Hey Jena, I have been waiting with bated breath for the release of your second book in the Variant Series. Can you give me an idea of when you will be releasing it? 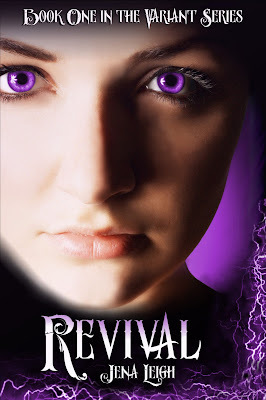 I also have a review blog (currently malfunctioning- I am atrociously terrible with technology and new to book blogging) that I have a review for Revival, that once I actually figure out how to organize my blog I would love for you to see. Loved your first book, cannot wait for the second! Hi Cait! It's a pleasure to meet you! I wish I could give you a better idea of when book two will be released, but it's kind of up in the air right now... I can guarantee you'll see it before the end of the year, but as for a specific date, there are a few things that need to be worked out first. As soon as I know, I'll be making a big announcement, so stay tuned! And I would love to hear your thoughts on Revival... Be sure to send me a link as soon as your site is working again so I can follow your blog! Hope you have a wonderful week! Hi Jena! I was wondering if you could tell me if there is a general time frame in which the next book in the Variant series will be released?And if she Alex ends up with either Delcen or Nate or neither, because its killing me! I cant wait for your second book! Thanks! Hi Katie! The second book in the Variant series is scheduled to be released in the fall of 2013... As soon as I have an exact date, I'll be making a big announcement, so stay tuned! And as for who Alex will end up with in the end... I'm afraid you'll just have to wait and see! ;) Thanks for the questions! Have a great week! Finished it! A really enjoyable read. You have the makings of a good mystery writer - have you thought about writing a straight mystery novel? And your plotting and pacing are excellent. You teased just enough information at just the right times to leave me wanting more. I like how you revealed some things in this book and saved some for the sequel - like hints of romance and whatever it is Nate knows. And I like too that you kept the romance at the hint stage, regardless of what comes next. I hope the next book digs even deeper into who these people are. I like them all; I just want to get to know them better. And more backstory as to the larger conspiracy and its players would be welcome as well. One suggestion - if you didn't do it before, you may want to get another set of eyes on your next draft to check for grammar, spelling, and usage mistakes. When I see your/you're confusion and words missing letters, like "decent" instead of "descent," it distracts me and pulls me out of a great story. I don't mean any offense by pointing this out - if you were an average writer, I wouldn't care. But you're not, so I think every aspect of your writing should reflect the credit you deserve. Thank you so much for taking the time to read Revival and to provide such a thoughtful review. I'm so happy you enjoyed the book! I've always appreciated a good mystery and I've noticed that my favorite stories all seem to have a fair amount of intrigue and unexpected twists to the plot. I guess it was only natural that I'd try to work some of those elements into Revival! When I wrote the book, I wrote it without a proper outline—so many of those twists were just as surprising to me, as they are to readers. I'd love to try my hand at writing a proper mystery someday! The good news is, I've finally reached a point where I can afford a wonderful editor. Revival is with her for edits as I write this and I hope to update the book file with these edits at some point in the near future. If all goes well, she'll also be the lucky duck that will help me whip book two into shape! I have no intention of ever publishing a book without taking it through edits, ever again. Thank God for great editors. They're worth every penny! Thank you again for the feedback and I hope that you enjoy the sequel! Take care! Just wondering what the sequel to the series is and when its coming out? I really liked it and am going to be adding it to my blog with a review. I really like your book. It's a great read. Plenty of great writers have the occasional typo or spelling error. Can't wait for the sequel. You told others it would be done in the timeframe of 2013. Just wondering if I could get a heads up for when it's actually coming out. Again, a really good book. Going to read all of them! Hi Aradia! Thanks so much for reading!! 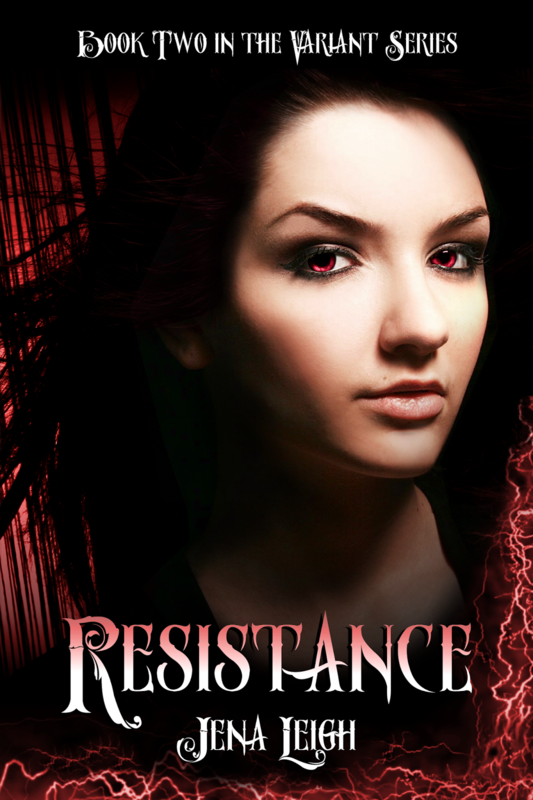 The release date for Resistance (book two in the Variant series) is February 11, 2014. I'm sure there will be a book 3... how long do u think it will be before it releases. Both book were really great reads. I highly enjoyed them. Never mind.....I seen a post with it response. Can't wait to read it and see what's next. I just finished reading Resistance - when does the next one come out?!? I'm totally hooked!! Hey! I have been waiting forever for the third book to come out. I am totally hooked! When is the next book coming out (hopefully soon) and how many books are going to be in the series? Thanks! Hi! I read your book Revival for a book report in school. So I can finish my report, I am supposed to know why you wrote the book. Could you help me please? Thank you if you can. When I started writing Revival, I did so because I was looking for an escape. Losing myself in Alex's world was a wonderful distraction from my circumstances at the time. In the end, I enjoyed creating Alex's world so much, that I soon found myself with a finished novel and the beginnings of the Variant Series. Hope that helps! Good luck with your report. When is the next book being released and what is its name? When will the 3rd book be coming out? Will book 3 be the last? Please please please tell me that there is a 4th book being published soon! I just finished the 3rd book and I need the next one! I love this series! Hi my name is Amelia. I just wanted to say I love your series and I can wait for book four. Do you know the release date yet? Best series I read in a long time! Hi Jena! I just read all 4 variant books in like 4 days. They are amazing! By finishing all 4, I realized that I feel a little like good friends who have suddenly disappeared and left me hanging in the middle of nowhere. Really, please tell me I won't be hanging forever and that book 5 will be released sometime. You are a great writer. I literally have found only one other author that left me feeling this way. I consider you one of the best. There will absolutely be a fifth book! I'm afraid it's still too soon to ballpark a release date, but I'm hard at work on it now and will make a big announcement just as soon as it gets a little closer to completion! Awesome news! I rarely go to an authors site for info on their next book but I just finished book 4 and I immediately looked you up to see if/when there will be a 5th installment. I can't wait for book 5! I'm signing up for your mailing list so I don't miss it. Keep writing! Your stories and characters are amazing! How many books in the series will there be? When is the fifth book of the Variant series coming out? I just re-read the series and desperately want to know what happens after the cliffhanger of book 4.